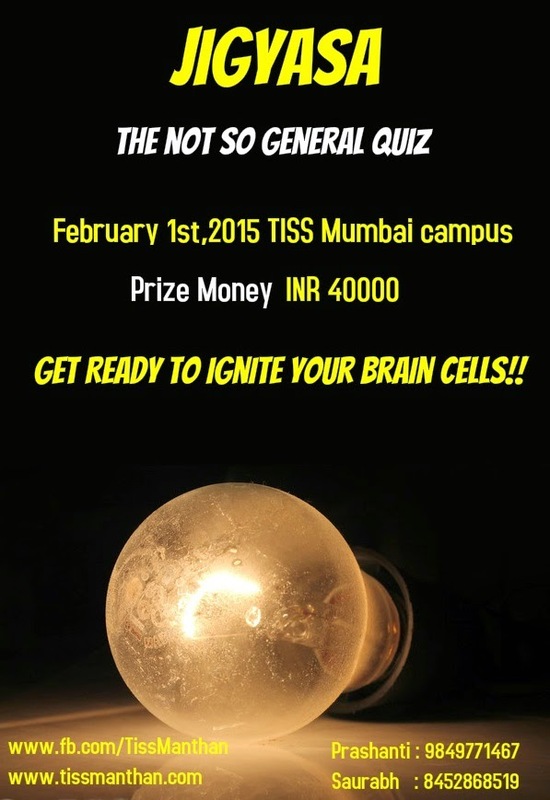 TISS, Mumbai, brings to you 'Jigyasa - the Business Quiz' as part of its annual fest 'Manthan'. Time - Registration begins at 11 am, Prelims - 11.30 am. Prelims to be immediately followed by the finals. There will also be an online prelims on 18th January (Sunday) at 10 pm. 2 teams will be selected from online and 6 teams from spot prelims. How do you find the quality of quiz questions posted in the Quizzards Blog?